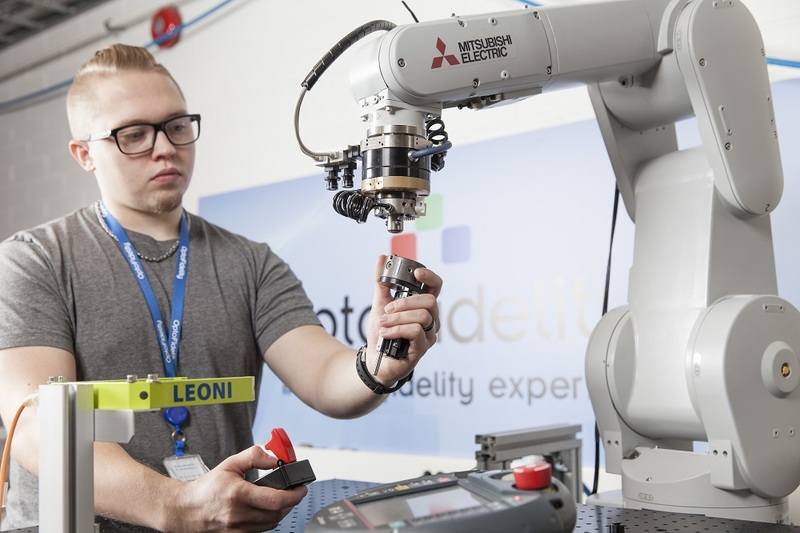 OptoFidelity is a global market leader in designing robots and systems for testing smart devices. The company’s products are used to test the performance and reliability of touch-screen interfaces. The world’s leading technology firms rank among OptoFidelity’s customers, including Google, China Mobile and Atmel. There is strong demand for the company’s testing solutions also from the automotive industry and in the development of virtual reality applications. Changyuan Group Ltd is a high-tech enterprise set up by the Chinese Academy of Sciences in 1986, specializing in R&D, manufacturing and service of EV-related materials, intelligent plant equipment and solutions, smart grid equipment. “Our new Chinese partner will boost our growth, provide us with more resources and the capacity to deliver our test technology to our global customers worldwide, and give us access to Chinese smart device manufacturers. Within Changyuan we will be part of the conglomerate’s smart device production technology cluster, with a combined offering in test automation that is truly unique,” says OptoFidelity’s CEO Pertti Aimonen. “To succeed in international competition, companies in the testing industry need cutting-edge technology, substantial capital and adequate manufacturing resources. OptoFidelity’s strength is testing technology, and we envisage a surge of growth now that Changyuan provides us with the other two,” comments OptoFidelity’s Board Chairman Antti Sivula. “We are impressed by OptoFidelity’s rapid growth, test technology and prestigious customers. The company’s expertise and technology are unmatched, not only in robotics for test solutions but also in new growth sectors such as virtual reality applications and testing recycled phones. We will provide OptoFidelity with the manufacturing capacity it needs and with new customers close to end-customers in the People’s Republic of China. We will continue OptoFidelity’s growth story by building it into a world-class testing automation company,” explains Erbing Lu, Chief Executive Officer, Changyuan Group. Pertti Aimonen, Tapio Koskinen and Kimmo Jokinen founded OptoFidelity in 2005. They were brought together by their desire to expand internationally and to do business with testing and measuring systems. The company has grown strongly, generating net sales in 2016 of EUR 20 million, of which exports accounted for 95%. OptoFidelity’s target is to reach sales of EUR 100 million or so by the end of 2020. “We’ve always recruited “MacGyver-minded” people who love testing technology and want to solve customers’ problems with passionate creativity. We will stay true to this culture in the future also,” Aimonen points out. Finnish investors Tesi and Vision+ helped boost the company’s growth up to this point. Both investors see the improved growth opportunities that the industrial partnership offers as a positive forward step. “OptoFidelity’s development from an R&D subcontractor into an industry leader in test automation solutions is exemplary, and demonstrates the company’s ability to predict customer needs over the long term. A primary aim of the Chinese partner was to acquire a highly skilled team to function as part of the Chinese parent company. We believe that this partnership will strengthen OptoFidelity both locally in Tampere, Finland, and in the global market,” says Tesi’s Investment Director Jussi Sainiemi.